I get requests for ideas for great hostess gifts to bring to a holiday party each year. We found classic hostess gifts, gifts to pamper her, and some gifts that the entire family will enjoy. 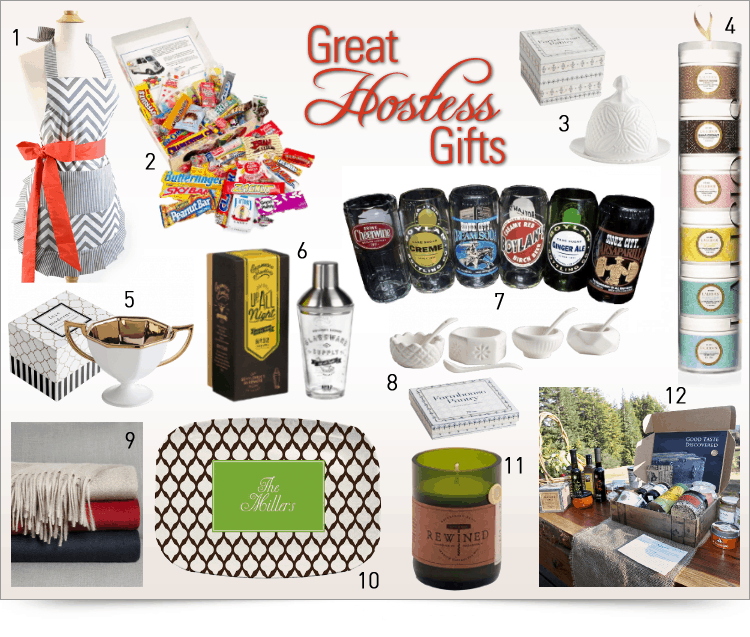 Here is our list of hostess gift ideas for 2014, curated for you. How many holiday parties will you be attending this year? These not only make great hostess gifts, but are also classic choices for a co-worker, boss, teacher, or to buy for yourself to style your own home! The candy box from representing the different decades is a fun choice, that everyone can enjoy!